The Programme area is inhabited by three lamprey species, but only river lamprey is commercially exploited with old traditions and high importance to local communities. Lampreys are of conservation concern in Europe (Bern Convention, EU Habitats Directive) and EU directive obliges to ensure that their exploitation is compatible with maintaining them in a favourable conservation status. However, HELCOM assessed the river lamprey to be Near Threatened in the Baltic Sea region, what urges for better resource exploitation, management and protection solutions. Due to a difficult life cycle of the species and lack of scientific knowledge on population structure, both countries face common challenges like standardized assessment of stocks and their management on a sustainable basis. LAMPREY project aims to reinforce sustainable, scientific data based management and to balance utilization with preservation actions of important natural resource in Programme area. For this, the project will i) apply specific measures to improve river lamprey populations and secure access to spawning grounds over obstacles; ii) perform cross-border standardization of stock common assessment methods and new molecular survey approaches by relevant research organizations; then iii) assess river lamprey stock status and population genetic structure in model rivers what enable to distinguish biologically sound management units; and finally, iv) produce Strategy for long-term and sustainable lamprey stock maintenance, protection and management. This knowledge will equip stakeholders with a new tool to make science-based decisions; encourage cross-border cooperation which is addressed to improve current Common Fisheries Policy and to increase integration and efficiency of environmental resource management in Latvia and Lithuania. 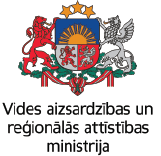 Project will be implemented by Klaipėda University (lead partner), Institute of Food Safety, Animal Health and Environment BIOR from Latvia and Lithuanian Fund for Nature in close collaboration with main stakeholders of natural resource management – Environment and Agriculture ministries of both countries. International pan-Baltic workshop "Lamprey population status, management and assessment practices in Baltic Sea region"